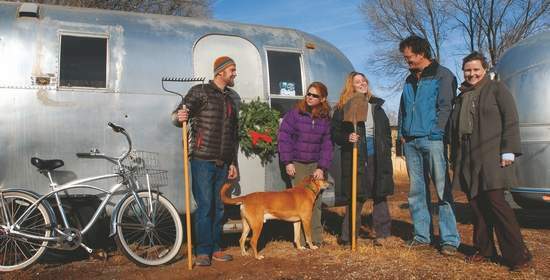 Kelley Cox/Post IndependentThe creative forces behind the Airstream Village Holiday Market include, from left, Jeff Ellis, Andrea Chacos, Andrea Korber, Gavin Brooke and Erin Rigney. Also shown is Beer, the dog. The holiday event takes place in Carbondale beginning Friday.